Decorate your Chemistry classroom with these 40 free bilingual Chemistry posters. Feel free to edit or share them. 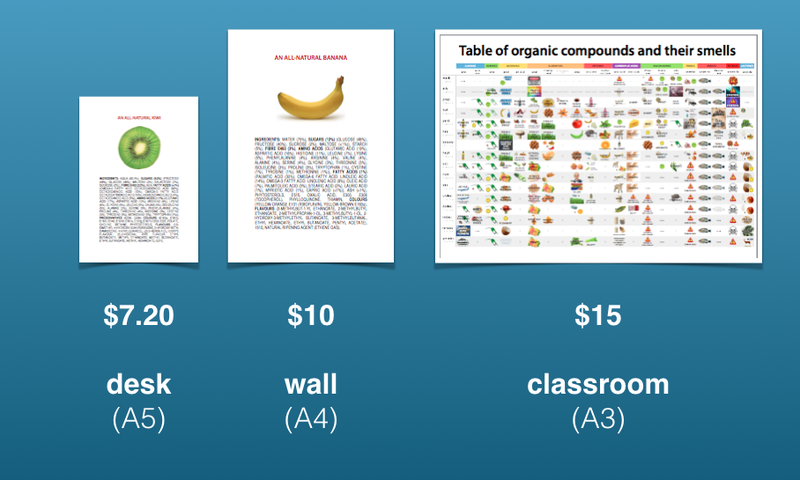 Also… Get the famous ‘all-natural banana’ poster prints here. Remember to check out our T-Shirt Store with T-shirts in 7 languages! For more posters and free infographics, visit the Posters section of the site here.